The St Marys Cathedral recently installed a partition and new glass panes at the Confessional rooms, as part of the Church’s Safeguarding initiative. Photo: Josh Low. Building warm and inviting spaces is exactly what St Marys Cathedral has done, with their recent installation of new clear glass panels for the Confessional rooms. 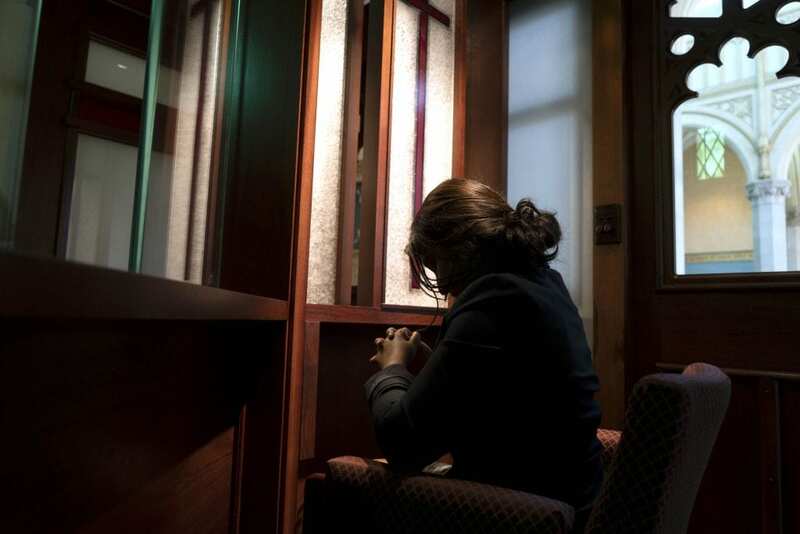 St Marys Cathedral Dean Father Sean Fernandez told The Record that the step was taken with the intention of creating a space which is safe, while preserving the opportunity of face-to-face confession, should the penitent desire it. Fr Fernandez admitted that the process was not an easy one for the 154 year old Cathedral because of the age of the doors and the fretwork framing the glass. “Every confession is an experience of being embraced by the Father who is rich in mercy,” Fr Fernandez concluded.